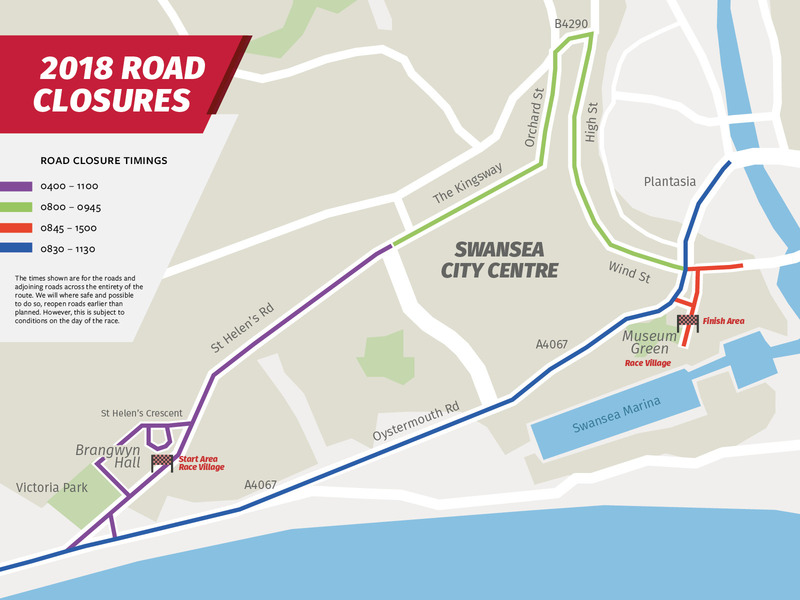 City centre road closures and parking suspensions will be introduced on the route, and on designated access routes. Advance warning signs will be erected on all effected streets 2 weeks before the event. Letters and relevant information will be delivered to all residential and businesses along the route. Diversion routes will be be signed to the north and the east of the city. Swansea has several car parks within the City Centre. 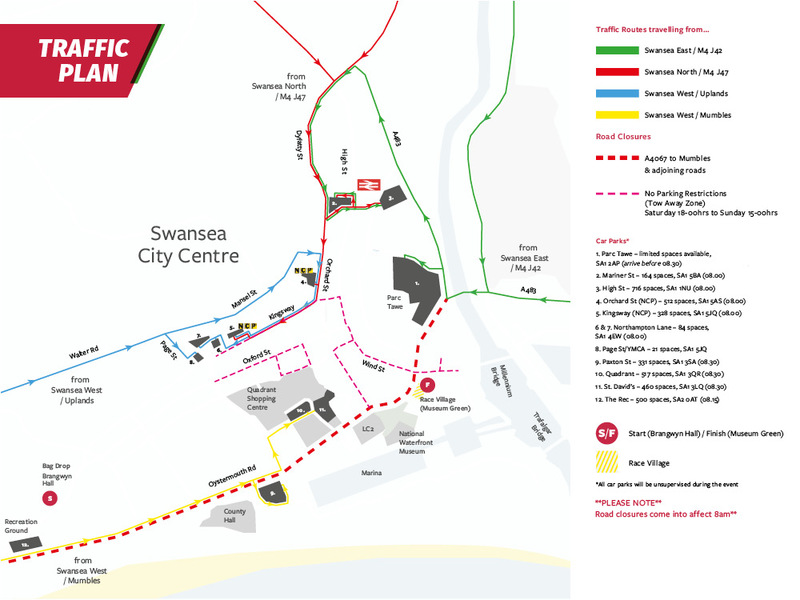 All of the Swansea City Council cap parks are free to use on Sunday.